"Specially featured and designed Nuevas school bus tracking system that ensures student`s safety and well managed student transportation. It also comprises student`s attendance system by means of RFID technology which is one of the most efficient and accurate attendance systems. 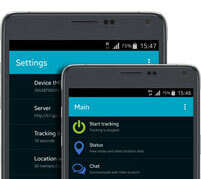 Parents can track location, status of their child from anywhere by logging into web based/ mobile applications." 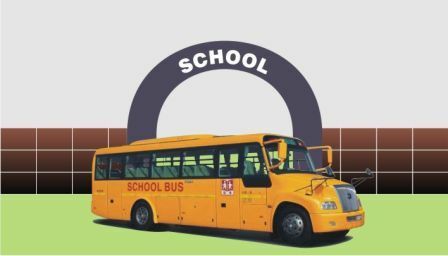 Student bus tracking is designed specifically for school transportation to track and monitor student ridership in a safe and non-intrusive way. Knowing if and when a student got on or off the bus accounts for a significant portion of calls parents make to schools and is information that schools need to know. Nuevas has succeeded where others have not by using its patented Radio Frequency Identification Device (RFID) technology to solve the problem. 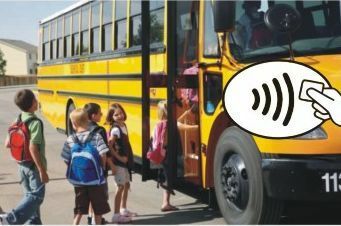 Students carry a small card that contains passive RFID technology that logs each student's entry or exit automatically when the student passes the scanner located on the school bus. Each student is issued a unique RFID card to carry. Everything else is automatic. 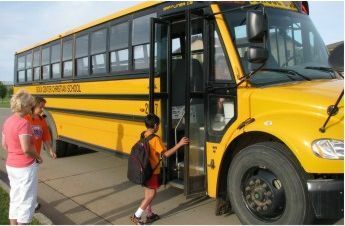 As the student passes the Nuevas reader upon entering or leaving the school bus, the time, date and location is logged and transmitted to a secure database. Passive RFID - The card works without a battery. The reader does the work so it is safe and low cost. Low-Power Sleep Mode - Conserves the vehicle battery by entering sleep mode when not in use. The data is accessed via a web-browser with Nuevas server. For the first time, accurate information is available to answer parent and administrators' questions accurately and cost-effectively. Web-Based Reporting - Makes it fast and easy to access accurate information. Student Report - Stamps time and date for all loading and unloading activities by student. Bus Report - Provides all students ridership data by bus. RFID Report - Provides all student attendance with pickup and drop alerts. Attendance of individual student will be sent to server Attendance Record System when student swipe the card at the time of pick up. Transporting students responsibly is something school officials and parents take very seriously. A student's boarding or departure status has always been largely reliant on speculation. Nuevas provides the capabilities commensurate to the responsibility. STUDENTS - Provide valuable information when getting on and off the bus. SCHOOL PRINCIPALS - Meet obligations to parents and district to do all they can to ensure student safety. TRANSPORTATION MANAGERS - Equip buses with powerful track and report capabilities cost-effectively. 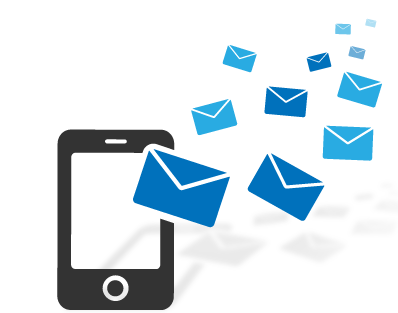 DRIVERS - Provide valuable and accurate information without having to do anything different. SERVICE REPRESENTATVES - Answer parents' and school officials' questions instantly and accurately. 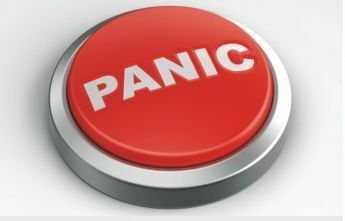 RISK MANAGERS - Protect the districts from liability by removing uncertainty about boarding status. MANAGERS - Save valuable resources, with no demands on existing IT infrastructure or personnel. PARENTS - Take the appropriate action because they have precise answers to boarding status and times. Bus Report - Provides all student ridership data by bus. RFID Report - Provides all student attendance with pickup and drop alerts. Attendence of individual student will be sent to server Attendence Record System when student swipe the card at the time of pick up. It ensures children's safety and security while they travel to school and back. This is a "peace-of-mind solution" that takes into account concerns of parents, school authorities, school bus fleet owners and school bus drivers. It send SMS Alert into parent's inbox before 5 minutes the bus carrying children reaches at doorstep. RFID based attaendance database. Student record will be stored at server database. Also ensures child safety and error free track of his attendance.